If you recently moved into a home that has carpeting, you might be anxious to learn how to maintain this type of flooring, especially if you've never had it before. Carpeting has numerous benefits, including plushness underfoot and warmth. However, it can trap allergens and be challenging to clean. Here are some tips for making it easier to enjoy carpeting in your new living space. With a vacuum cleaner that can efficiently remove the dirt and dust from your flooring, it'll be simpler for you to relish your carpeting on a regular basis. Some models from Electrolux can be especially helpful in the event that you have allergies – these devices have built-in high-efficiency particulate air filters for the utmost convenience. Heavy traffic areas such as hallways and entryways in your home might need to be cleaned more frequently with your vacuum cleaner, according to TLC. To reduce wear and tear over time, you may want to put down a rug in these locations to protect the actual carpeting. This is an especially necessary step if you happen to have pets. Think about applying baking soda to your carpeting to remove unwanted odors from your flooring. This can also stop them from building up over time. 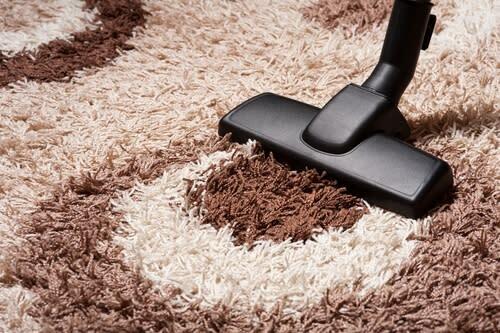 If you have plush carpeting, vacuuming over certain areas of your flooring more than once is a must. This can ensure that you're removing all of the dirt and debris from beneath the carpeting as you clean. Carpeting can be a luxury, but it needs regular maintenance to look beautiful over time. These tips can help you achieve this goal in your home.